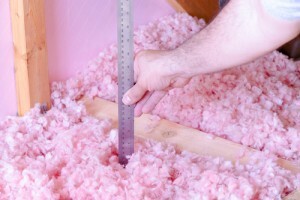 Insulation Long Beach | We Offer Free Visual Inspections! In order to keep a comfortable, safe and energy efficient home, it is necessary to maintain proper insulation in your attic and crawlspace. 911 Restoration Long Beach can help you implement a plan-of-action for your home that will help you save money and energy. Our IICRC certified Long Beach insulation crew will completely refurbish your home environment by clearing your attic and crawlspace of rodents, animal feces and insect, and replacing the areas with high quality insulation. Since these hindrances in the crawlspace may affect the structure of the home and the existing fiberglass, our experts will then install new, non-toxic insulation that will increase your energy efficiency. Branch owner Michael Banyas knows of the value that comes with having a cleaned and correctly insulated home, and he wants Long Beach homeowners to be able to partake in the benefits. Having a house with the correct amount of insulation will help make the most out of your air conditioning unit, making sure nothing goes to waste. Creating a more energy efficient environment will save you money throughout the entire year, something the licensed, bonded and insured insulation team wants to help get started for you. We are looking forward to repairing the insulation in all areas of your home. At 911 Restoration Long Beach, our technicians offer attic insulation, crawlspace cleanup and the air sealing of ducts, doors, windows and walls. 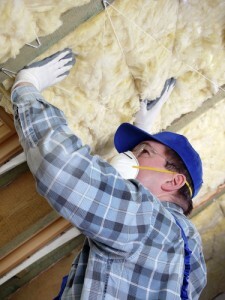 Our 35 years of experience makes us qualified to undertake any insulation job. It can be easy to forget about your crawlspace since you do not see it every day. Keeping it clear of any animal carcasses, feces, live rodents and insects is important to the function of the entire home. We will get the space cleaned and insulated in order to facilitate proper circulation of the heating and cooling unit. This will also prevent the growth of mold and keep out small animals. This will prevent future damage and keep your energy costs down. 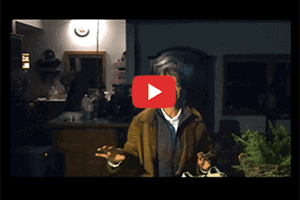 If your home insulation is not applied properly in the attic or crawlspace, then you may not be receiving all the benefits from the service that you could be. If there is an insufficient amount of fiberglass in the attic or it is not uniformly dispersed throughout the space, then it is essential that the Long Beach pros renovate the area. Our Long Beach specialists care about the health and safety of our customers. As a way to protect our customers against coming into contact with any toxic chemicals, we use loose-fill, blown fiberglass, made completely from pure glass. The versatile material is considered the safest form of fiberglass, because it does not hold moisture, prohibits mold growth, contains no additives and is inflammable. This type of fiberglass creates one continuous insulation barrier that will fit any home space without leaving any gaps. Call our professionals today to come inspect your attic and crawlspace. Our Long Beach staff looks forward to improving the quality of your home life and giving you a fresh start.